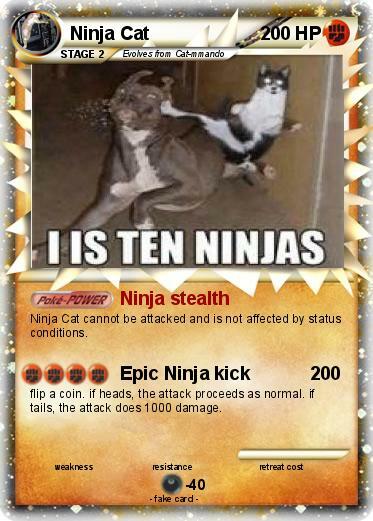 Ninja Cat cannot be attacked and is not affected by status conditions. flip a coin. if heads, the attack proceeds as normal. if tails, the attack does 1000 damage.